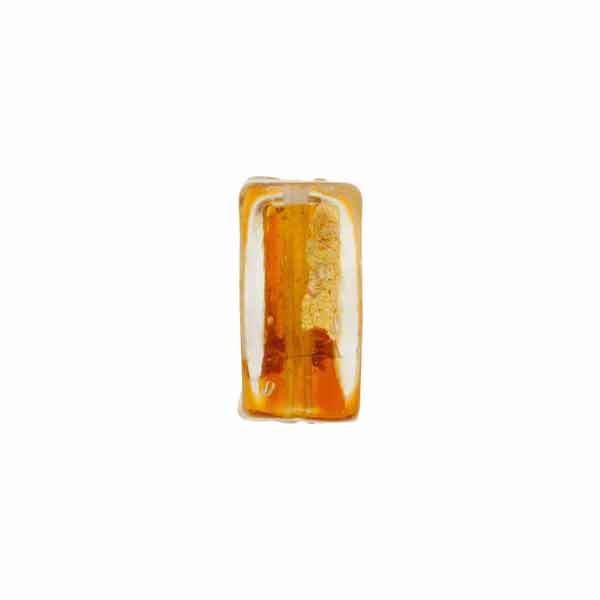 This is an authentic Murano glass bead with splashes of gold submerged beneath crystal clear Murano Glass in a 12mm square approximately 5-6mm thick with an approximately 1mm diameter hole runing through the center. The exterior clear glass magnifies the color beneath. The style is called Tosca, or Abstract and the exact size/shape and placement of the 24kt gold foil splash is completely random. 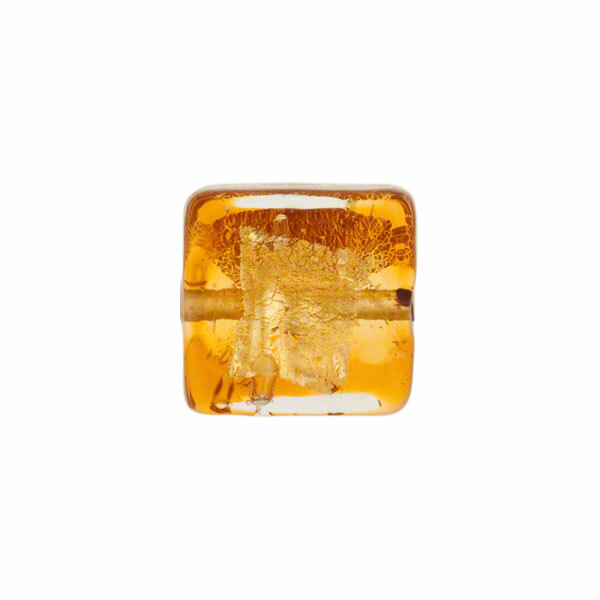 No two beads are ever exactly alike. 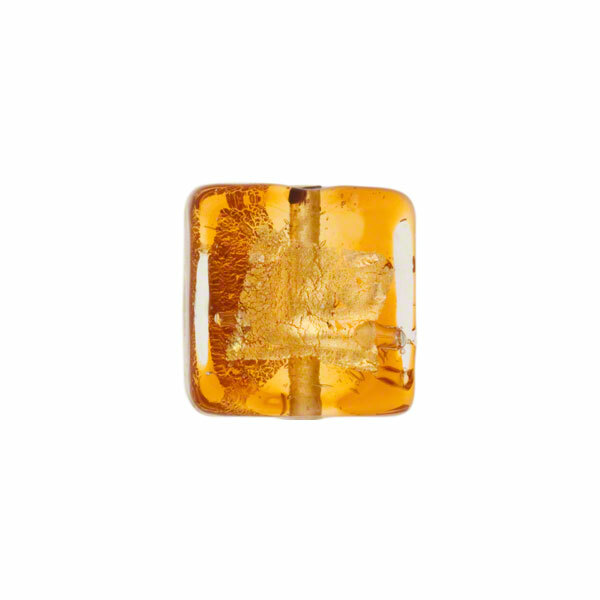 The color of this one is a rich Topaz Murano Glass.